It is our policy that participants arrive on time to class and do not leave until class is completed. Parents are not allowed in the gym during class, unless they are participating in one of our Parent/Tot classes. This policy is in place to maintain concentration of the coaches as well as the participants and it allows us to run a safe gym with minimal distractions. If you have an issue with something that is happening during class, please contact us at FrontDesk@AchieveGymnastics.com. Registration is done through the Achieve Front Desk, in person or over the phone at (720) 330-2200. Payment is due at the time of registration. After the initial registration, you are able to pay through our Customer Portal for future sessions during the Preferred Registration Week, which is the 5th week of every session. During the 5th week of each session, your child(ren) are automatically enrolled in their same class for the next session. To continue in the following session, you must pay on or before the last day of Preferred Registration Week (PRW). 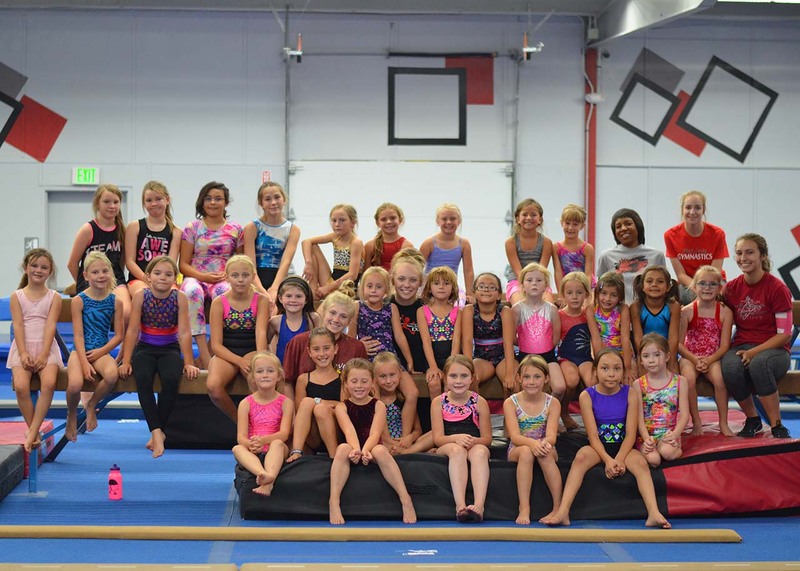 Achieve Gymnastics does not typically provide refunds for any activity (class, practice, clinic, camps) once it has started. We do review all refund requests, on a case by case basis, due to special circumstances and hardships. We request that parents or guardians accompany their gymnast(s) to and from the building for practice. This request is for your child’s safety. ALL participants are to remain inside the building with our staff until an adult arrives to pick them up. We have never had an incident and feel this is partly due to the presence of parents. Your child(ren) do not have to wear a leotard, although it is recommended. They can wear form fitting tee shirts and shorts, leggings or sweats. No jeans or khakis are allowed, even if they are shorts. Clothes without buttons, snaps or zippers are preferred. No jewelry, socks or shoes are allowed during class time. We have cubbies in the gym for students to put their belongings in. We do not offer make-ups for missed classes. Enrollment in our recreation program is with the understanding that you are paying for the spot in your child’s specific class and not the number of days attended during the session. Many of our classes are full and have wait lists, which makes it difficult to allow make ups and keep our 8:1 ratio of students to coach intact. Achieve Gymnastics will not prorate the session tuition for any missed classes. If Achieve Gymnastics has to cancel a planned class, we will credit your account for that class. The ONLY drink that should be brought into the gym is water. The water should be in a container with a lid. There should not be ANY food items brought into the gym. We hope that everyone coming to our gym will respect the belongings of others. However, since valuables cannot be protected in the gym, we ask that all valuables and money stay at home.